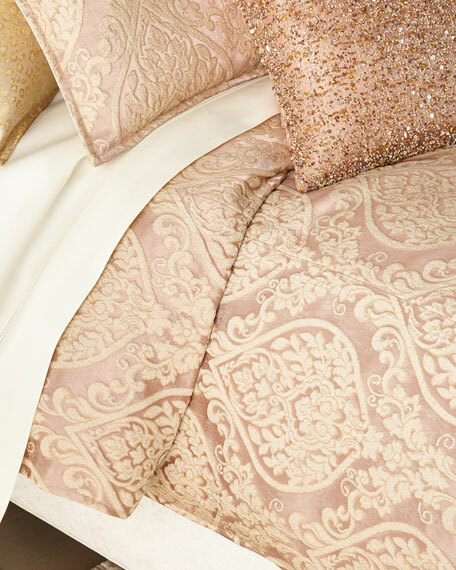 Fabric 1 and 2: polyester. 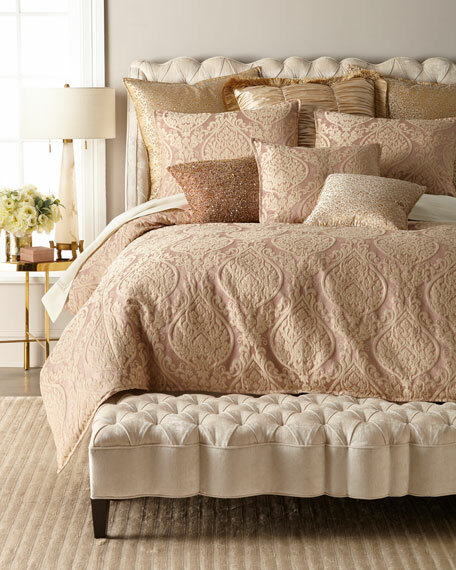 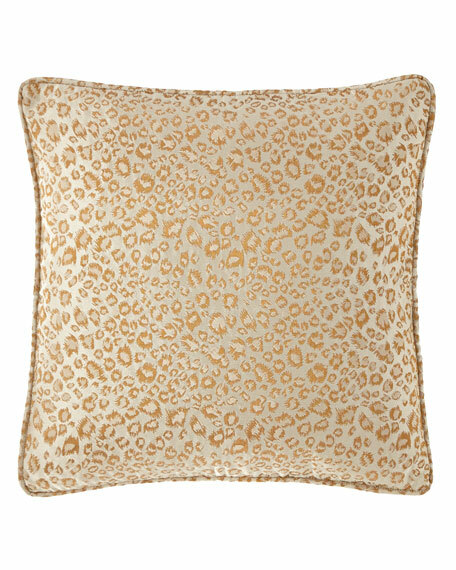 Sham in metallic leopard pattern. 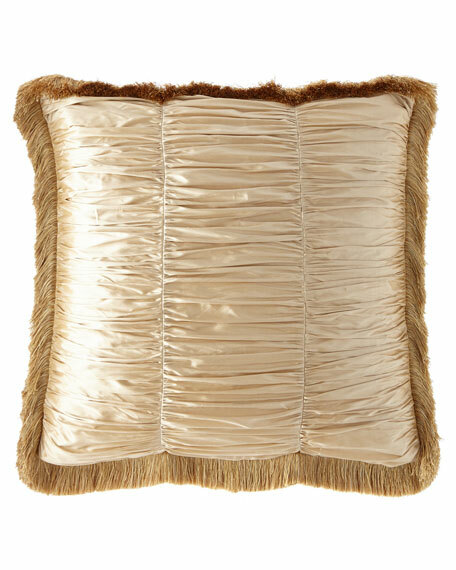 Ruched sham with brush fringe finish. 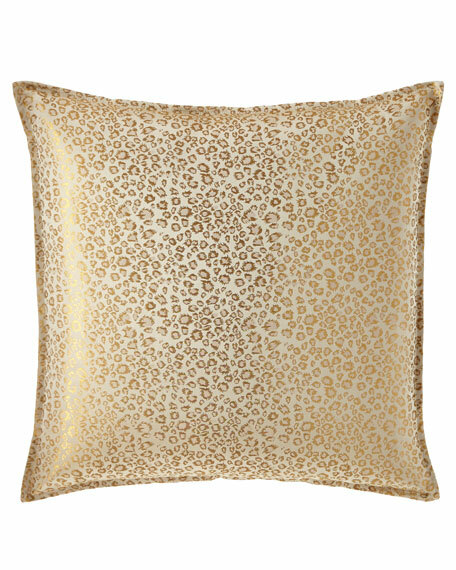 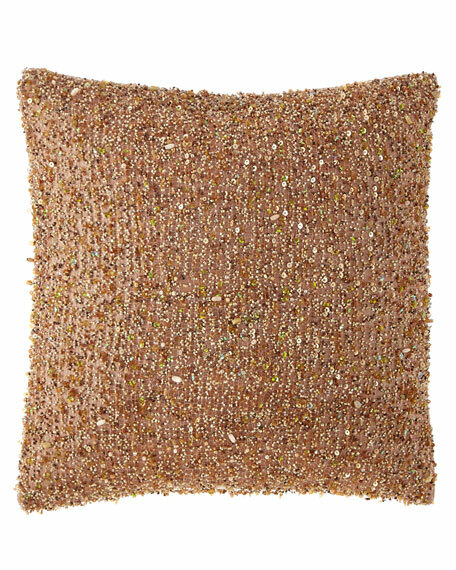 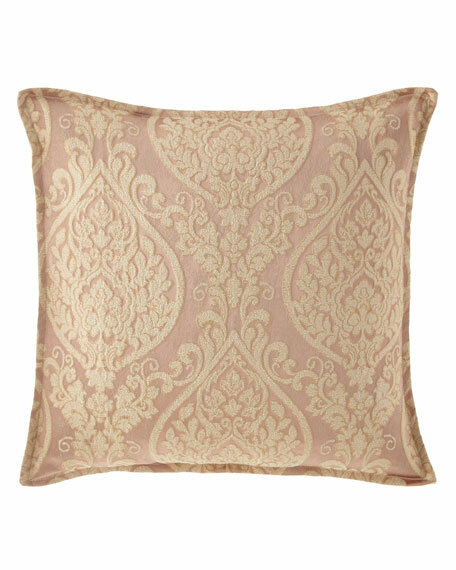 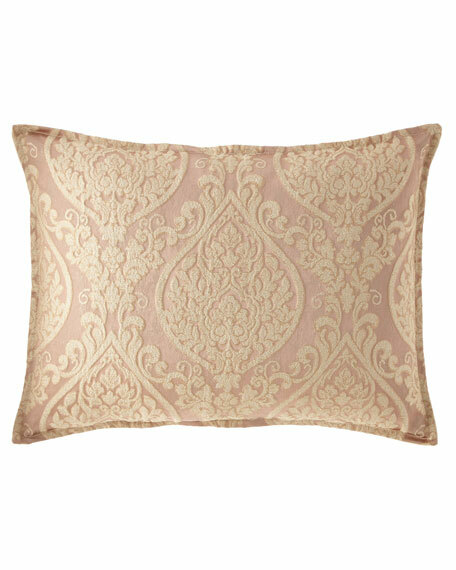 Pillow in metallic leopard pattern.